Erasmus Gower was born December 3, 1742 near Cilgerren, Wales. He joined the Royal Navy in 1755. He served under Byron's command on the Dolphin from 1764 to 1766 in a world voyage, when he was promoted lieutenant. He later served in the Falklands, Newfoundland, the East and West Indies. He was first came to Newfoundland as flag-captain to Governor John Elliot from 1786 to 1789. 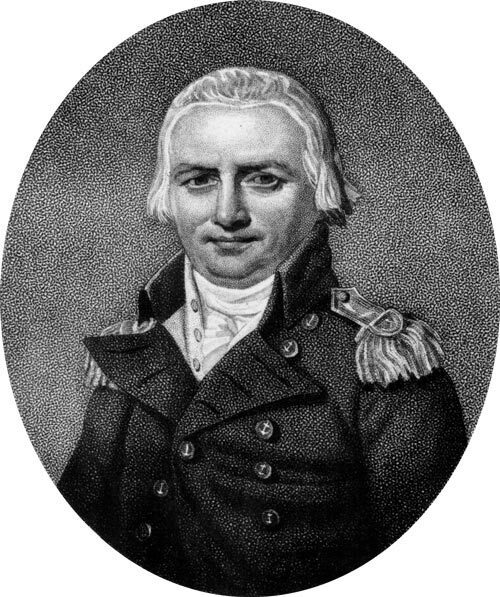 In 1792, Gower was knighted, and he was promoted rear-admiral of the white in February 1799. In 1804, Gower was promoted to vice-admiral of the white and appointed governor of Newfoundland. He recognized how much Newfoundland had changed since his previous service there, and like his predecessor James Gambier, understood that the island was rapidly evolving into a settled colony. A careful and meticulous administrator, Gower he did what he could to reform the local administration, strengthen the justice system, and collect accurate statistics. He assigned housing lots and leased land for cultivation. During his term, Gower supported the Committee for the Relief of the Poor established by earlier governors, and built it into a society for helping the indigent, and assisting the education of children. He encouraged the building of schools, and though his government supported Church of England initiatives, Gower also recognized the valuable work of the Roman Catholic Bishop James O'Donel. Gower left Newfoundland in October 1806. He was appointed admiral of the white on July 31, 1810 but saw no further service. He died on June 21, 1814 in Hambledon, Hampshire, England.